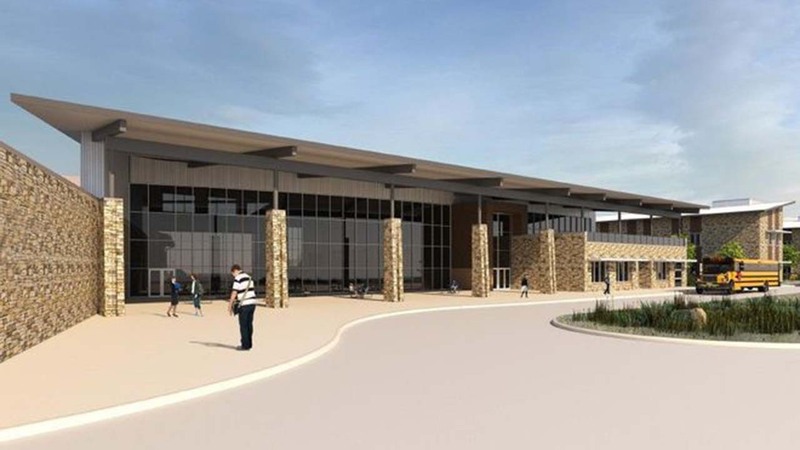 MONTGOMERY COUNTY, TX (KTRK) -- The designs for the new high school planned to open in 2018 was presented to board members during their regular meeting Tuesday. The first phase of the 350,000 square foot campus will house a maximum of 1600 students, and will grow to 417,000 square feet with capacity for 2500 students in the second phase. Huckabee Architects Associate Principal Jason Andrus told board members that the school, located off FM 2854 near Rabon Chapel Road, sits back further from the road due to the property line and the construction of a wastewater treatment plant that will service the high school, middle school and elementary school. For the full story, go to our partner, The Houston Community Newspapers' The Courier of Montgomery County.